A lot of data are transmitted by telecom and network according to the smart portable device grow. The heat also increases by the transmitted data. The higher cooling performance and powerful fan are needed by data center or cloud related equipment. In the meantime, the efficiency becomes critical due to the continuous operation. 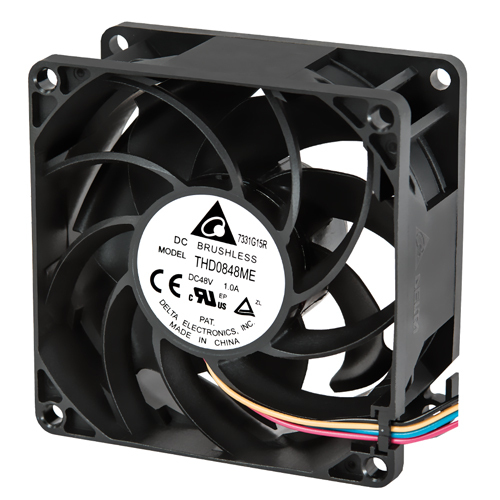 Delta get market information and user voice then develop the excellent cooling solution. 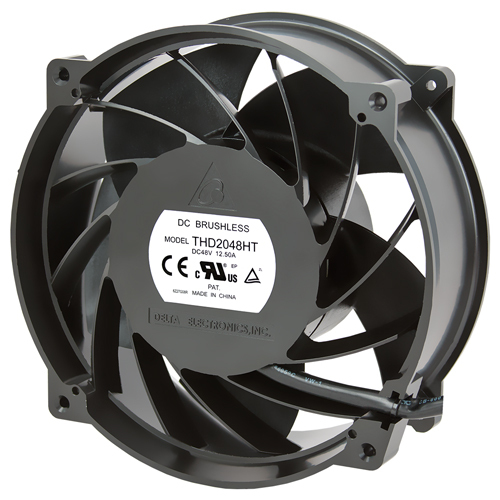 The T-series fan meet to market demand and user aspire. 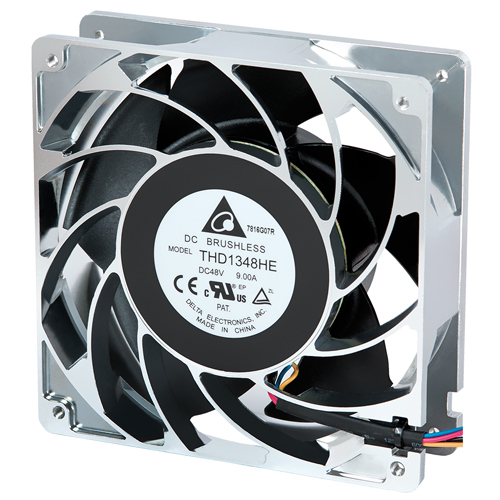 The high air flow and air pressure is impressive and is useful to solve thermal problem of data center and server. 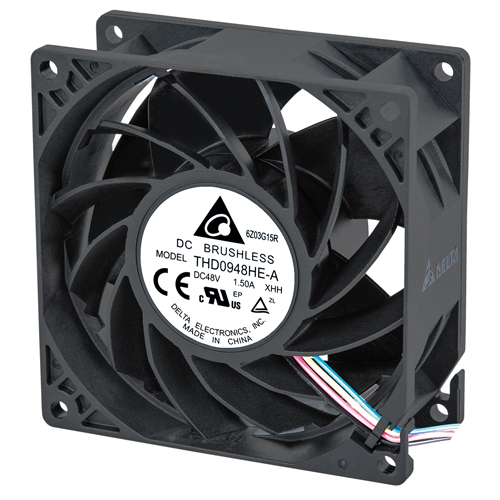 At same time, the high efficiency is another key benefit from T-series fan. After the aero dynamic analysis, the special design blades rotate and provide powerful cooling performance with low power consumption. 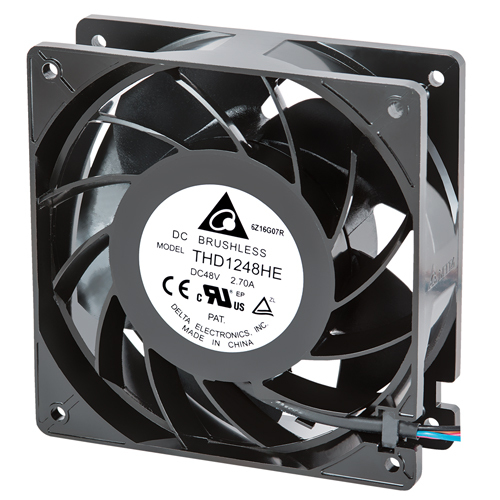 The newest generation "THD series" with talent design implement bionic blade then push up the fan meet higher performance, higher efficiency and low noise. The recommended model list can be referred and selected by different size.